Early stage companies often begin in co-working spaces or even in residences. As companies scale, they often seek their own office location. When does your startup need an office? A residence of founder or early employee works for the beginning, but usually you need an office once you are ready to hire employees that are not part of the founding team. Recruiting candidates can be difficult without a dedicated office. How big of an office do you need for your startup? Office space is a function of your headcount forecast, budget and how long you plan to be in the space. For most startups, it makes sense to plan to be in your first office for around a year and you should plan for between 125 – 175 sq / ft per employee, depending on conference rooms and common areas. "You should plan for between 125 – 175 sq / ft per employee"
When determining if an office fits your budget, rent is typically quoted in price / sq ft. This is an annual number (annual rent x sq. ft of property). When you hear rent quoted, multiply the number by the square footage and divide by 12 to get your monthly rent number. Identifying the team involved in the search: Your office search must have an owner. The person on your team with the most experience in commercial real estate is the obvious choice, if that person exists. Regardless of the owner, finance, IT, and legal functions must be involved. You want to make sure you budget appropriately, have the information technology infrastructure up and running before you move, and that you negotiate your lease documents correctly. Hiring a Broker: When searching for an office, the landlord or the sublandlord is almost always paying the broker fees, so there is little downside to hiring one and having them help you manage your search. Brokers know the local market and have access to listings that they can share with you. Some large brokers often used by startups include JLL, CBRE, and Cushman & Wakefield. Your investors or friends at other startups are likely to be able to introduce you to a broker they’ve worked with previously. Choosing the location: Consider the commuting patterns for your current employees, and also the future employees you are likely to hire. Public transportation is critical in some locations while parking is in others. Make sure to visit the office location in person a couple of times to be sure to understand noise levels, lighting, and neighborhood quality. Ideally your new office is close to coffee shops and lunch spots likely to be frequented by your employees. When you’re an early stage startup, you’re typically on a budget, so you’ll likely be compromising on some factors, but it’s important to decide what are the 1-2 aspects of the location that really matter, and make sure your new office has those. Timing and Terms: Many people underestimate the length of the process of finding an office and moving in. Remember that you are negotiating a lease or a sublease with a counterparty, and you cannot control how fast that party moves. In a sublease, you often need approval not only from the sublandlord, but from the master landlord as well. Each of these parties needs to review the lease terms and have their legal teams sign off. It can be a long process. Plus you need to consider that the current tenant may need to move out. For your first office, give yourself around four to eight weeks from when you begin the search to when you are likely able to move in, although other factors will apply. Direct commercial leases are the standard lease – you are renting the office space from the owner of the building. They are usually longer in term (three to five years or more). Direct leases often come with a build out on behalf of the tenant, so customization of layout, fixtures and finishes can be incorporated into the lease negotiation. A direct lease tends to be longer and inflexible in duration, which often does not work for high growth startups that can’t forecast their headcount, or don’t want to pay today for large expected headcounts in the future. "Most startups start by subleasing their first office"
Therefore, most startups start by subleasing their first office. A sublease is an agreement made with the current tenant (and not the landlord) of the office space. This arrangement must be approved by the building owner / master landlord. Subleases are often shorter and more flexible in term, and therefore are more affordable than direct leases. As a bonus, sublets sometimes come with the furniture as the departing tenant won’t take it with them. One thing to consider with subleases is that there is a vacating party, so if they have not moved out yet, remember that your move-in date is subject to their move-out date. 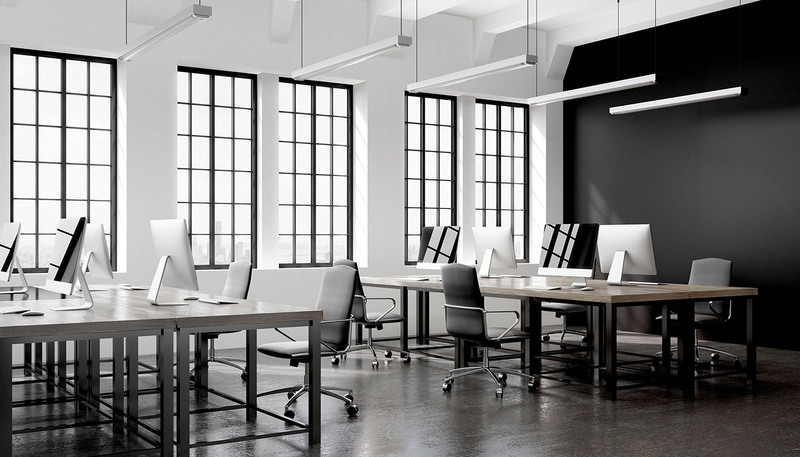 Co-working spaces are a popular option among early stage companies because they eliminate a lot of the uncertainties associated with the office search: cost, timing, wifi, location, utilities, common spaces and furniture. Many startups like being surrounded by other entrepreneurs and companies. Downsides of co-working spaces are that they can be expensive (although Brex customers qualify for a 15% discount on WeWork) and it can be hard to maintain your company culture and team dynamic when mixed in with lots of other companies. Brex started in our founder’s house, and once we had five employees we decided to pursue our own office. As a financial services company, it was important to have our own office (rather than a co-working space), for the added credibility when we hosted financial partners. Brex found a broker via another startup referral and chose a location in downtown San Francisco that was very convenient to public transportation and coffee / lunch places. However, the location was not on the most beautiful or well-maintained block. We negotiated our sublease quickly and the entire time between search and move took about four weeks. Want to be part of the Brex community? Get notifications about blog posts, Brex events, private discussion groups and founder materials. © 2019 Brex Inc. “Brex” and the Brex logo are registered trademarks. The Brex Mastercard® Corporate Credit Card is issued by Emigrant Bank, Member FDIC. Terms and conditions apply. See the Brex Platform Agreement for details.